These patented I.D. 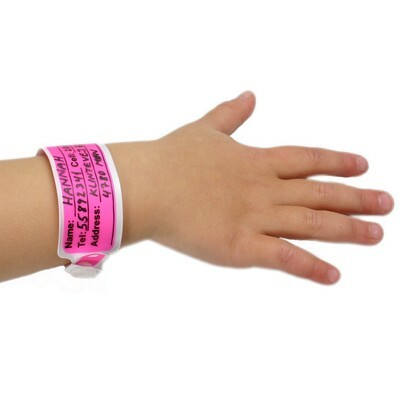 Bracelets hold the vital information of your child: Name, phone and address. It is a great thing to have in public places where there are many people. For example, it is perfect when you are in the park, shopping mall, airport, train station, museum, movie theatre etc. 1. 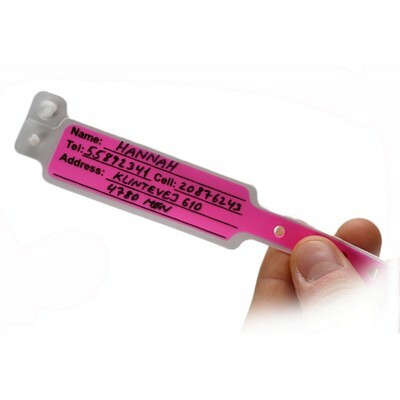 Use either a ball-point pen or a permanent marker to record name, phone number and address. 2. Attach bracelet around wrist. Fit should be tight enough so that bracelet cannot be twisted or pulled off, but still loose enough, to permit proper blood circulation. 3. Remove by cutting carefully with a pair of scissors.